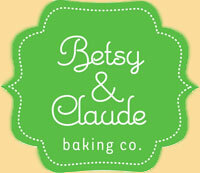 Betsy and Claude Baking Co. Treat yourself to Betsy and Claude‘s amazing cookies that are safe for sensitive tummies! These tender and delicious cookies are gluten-free and safe for folks who suffer from celiac disease as well as people from other allergies. They have no nuts or dairy and are even tastier than traditional store-bought gourmet cookies I’ve tried. Chocolate chip is my favorite but each and every variety would please anyone’s inner cookie monster. The peppermint chocolate chunk is the ideal gift for the holiday and safe for any party crowd! 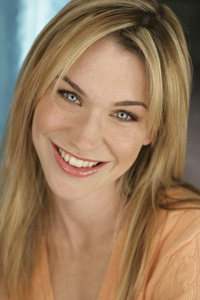 Meet Betsy, the artist behind the cookies! Betsy comes from a food family, cooking with a mother who was an excellent home baker and had her own, local TV cooking show and her grandfather who owned his own restaurant. When she was diagnosed with a wheat and egg allergy, her love of baking prompted her to create this array of healthy, scrumptious cookies. Have just purchased your lovely book “allergy-free deserts.” I can’t wait to start baking! It’s not my book, wish I could help! Sorry! Thanks for replying anyway.